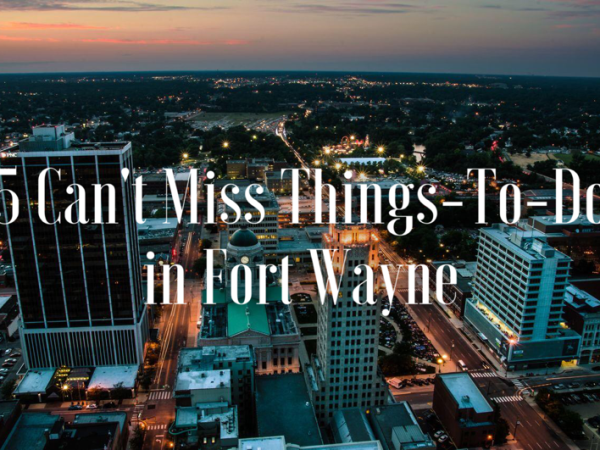 I love so many things about Fort Wayne, that narrowing my top 5 can&apos;t miss "must-do&apos;s" has been a really taxing process. I could list a top 10, or top 20, but I guess that would defeat the purpose. 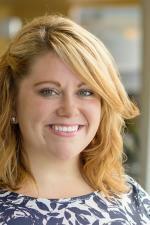 So, without further ado, here are MY 5 must-do things when checking out Fort Wayne! No I am not a child, nor do I have my own children yet, but the Fort Wayne Children&apos;s Zoo is probably my favorite place in the entire city of Fort Wayne. I love it so much that my husband may or may not have purchased us a zoo pass for my most recent birthday (and I also may be the proud adoptive mother of a sting ray). I think that really is the beauty of the Fort Wayne Children&apos;s Zoo. 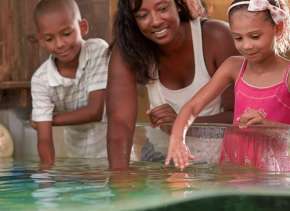 While the zoo does have "children" included in the title, and you will definitely see the zoo filled with the 10 and under crowd, it&apos;s exciting for people of all ages. From a midwestern petting zoo to the Indonesian Rainforest, the Fort Wayne Children&apos;s Zoo will take you all around the world in a day! The zoo is also in the midst of a big renovation project in the Australian Adventure portion of the zoo, showing our community that they are committed to providing a great attraction in Fort Wayne that not only provides fun for Fort Wayne residents, but attracts visitors from all over! 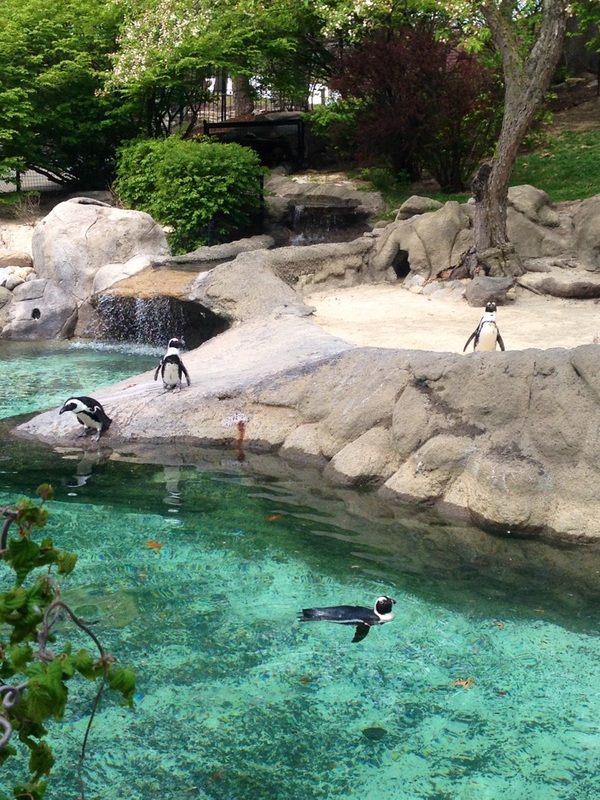 Take a peek inside by exploring the Fort Wayne Children&apos;s Zoo their 360 Tour! Want to eat like a local? 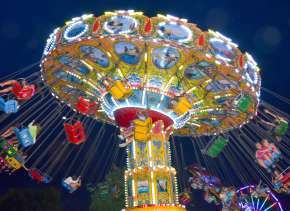 Coney Island is one of the most popular spots in Fort Wayne! Some of my fondest memories growing up include going to Coney Island with my family for coneys and a classic bottle of Coke. Enter through the back alley door and belly up to the old-fashioned counter for a bit of nostalgia. My favorite order is two coney dogs loaded up, a bag of bbq chips and a bottle of Coke. 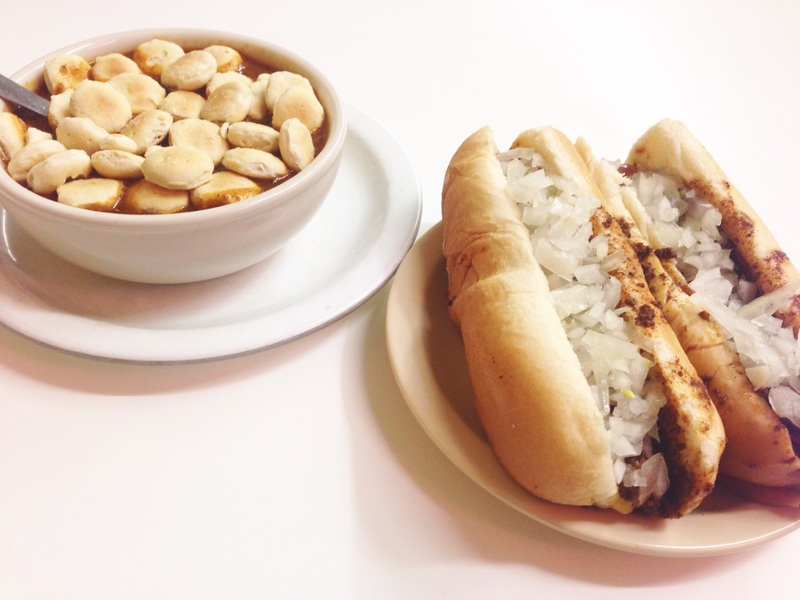 If it&apos;s chilly out, I&apos;ll add a bowl of Coney Island&apos;s famous chili. Pro tip: After you finish your meal venture out to one of the few Zesto Ice Cream locations in town for a twist ice cream cone - you won&apos;t be disappointed! Fort Wayne has a growing arts community, anchored by the beautiful Fort Wayne Museum of Art. As you walk through the galleries at the FWMoA you&apos;ll be taken aback by the variety of artwork within the museum walls. Not only does the museum show love to local and regional artists, it also showcases amazing works of art from critically acclaimed artists with pieces shown all over the world! While the Fort Wayne Museum of Art specializes in American art, I am always blown away by the variety of work and mediums you will find. You can also purchase handmade items, art, jewelry and more in their Paradigm Gallery gift shop - a great way to take home something artistic and unique! Have I mentioned that I&apos;m a bit of a hockey nut? Anytime I know of someone coming to town during the Komets season I always recommend stopping by the Allen County War Memorial Coliseum for a game. I&apos;ve been going to Komets games since I was little with my grandpa and brothers, and between them and my husband who is also hockey obsessed, I go to nearly every home game. 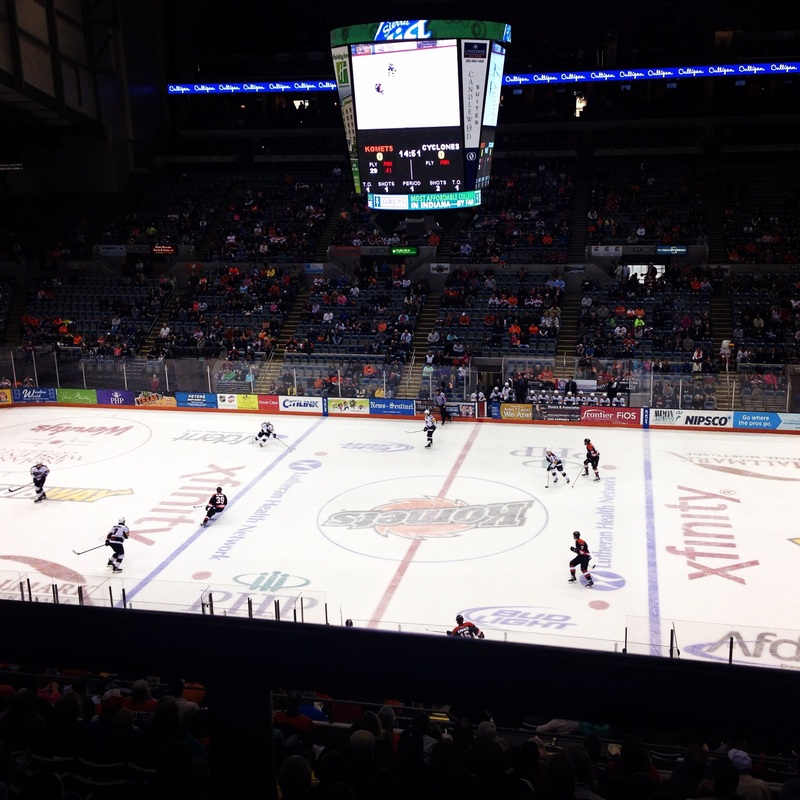 Komets&apos; fans are a passionate bunch, and you&apos;ll see plenty of orange and black jerseys and t-shirts in the stands. There are many seating options ranging from upper arena level to suite level club seats. No matter where you sit you&apos;re guaranteed a great view of the action in the Memorial Coliseum arena! For a long time, it seemed that the best places to shop in Fort Wayne were your national chains located in our two great malls (Glenbrook Square and Jefferson Pointe). However, in the last few years, the city has been booming with unique clothing stores, specialty shops and boutiques all around town and the surrounding area. Not only are these new stores great for us locals looking for a little something different, but they also position Fort Wayne as even more of a shopping destination! Some of my favorites? Fancy & Staple, Olive Twist, Lane 201, The City Exchange Shops and The Trove in Roanoke. Whatever you decide to do during your visit to Fort Wayne, I can guarantee you&apos;ll fall in love with our city! 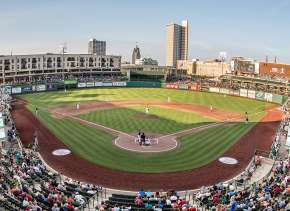 Now, take my word for it, and get out and enjoy Fort Wayne and all it has to offer! 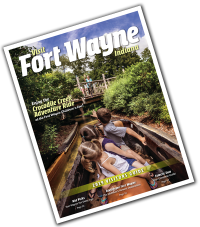 Find EVEN MORE great Fort Wayne must-dos over on the Visit Fort Wayne website.